"Mrs. Getz is always willing to help with anything you might need. She comes to school with a bright smile on her face everyday. 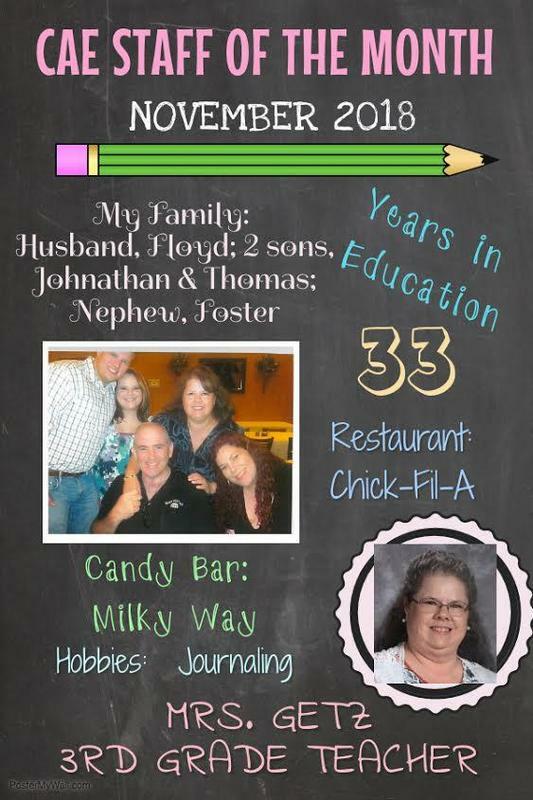 She adores her students and is as sweet as she can be." "Mrs. Getz is always thinking of others. She listens to students and co-workers. 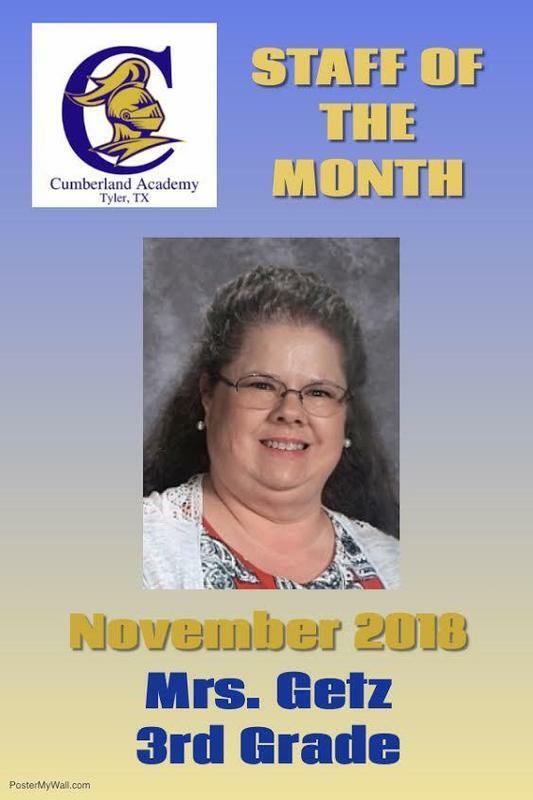 She is one amazing teacher and great person to work with!" "Mrs. Getz is so helpful to so many of us not just her team. I have picked up such great ideas, she is so personable, and lends a hand not only to 3rd grade, but anywhere she can help. The experience she has and shares is just a blessing to many of us."